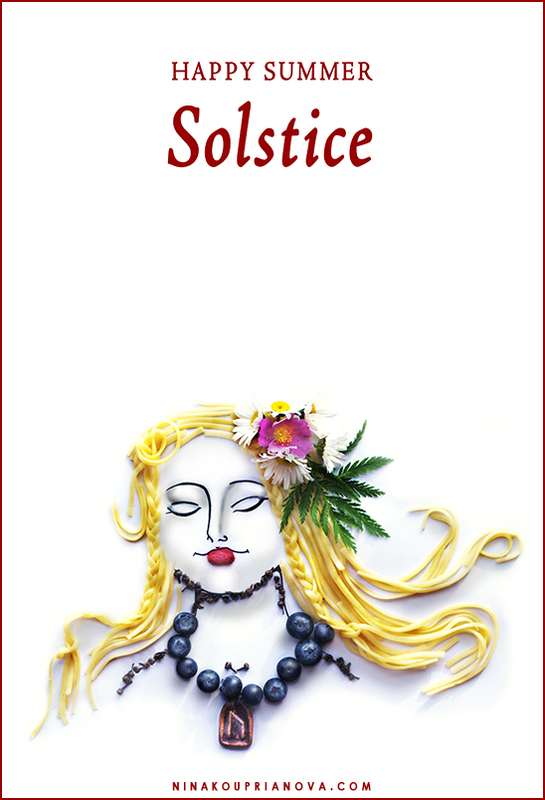 Here is an impromptu summer-solstice e-card for all those who appreciate (or practice) the Old Ways. Yes, I actually braided macaroni! I've also used daisies and rose hip, greens, blueberries, a raspberry for the mouth, dried seeds, ink pen, and the uruz rune. And now...to watch the sunset!